European Union states are considering measures that would allow them to temporarily stop people withdrawing money from their accounts to prevent bank runs. The proposal, which has been in the works since the beginning of this year, comes after a run on deposits at Banco Popular contributed to the collapse of the Spanish lender. There has been a bitter wrangle among European countries over how to deal with troubled banks roughly a decade after a financial crash that required the ECB to print billions of euros to prevent a prolonged economic slump. Giving supervisors the power to temporarily block bank accounts at ailing lenders is ‘a feasible option,’ according to the EU, which acknowledged that member states were divided on the issue. The plan would contrast with legislative proposals made by the European Commission that aimed to strengthen supervisors’ powers to suspend withdrawals, but excluded insured depositors (less than €100,000, or $117,000). The Commission had previously excluded insured deposits from the scope of the moratorium tool fearing it would have a negative impact on market confidence. 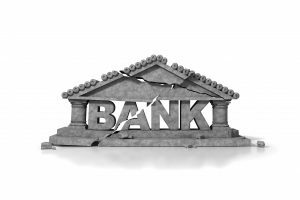 Many states supported a suspension of payouts only during the resolution of a failing bank, while preserving the continuity of the banking activities, the document said.